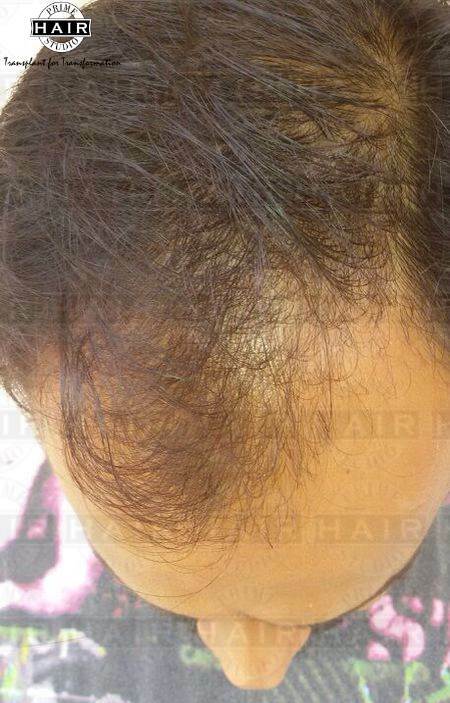 Mr SKS, 38 years old male of Indian origin, visited Prime Hair Studio, Bandra branch on 30 april 2014 for a consultation regarding restoration of hair line. 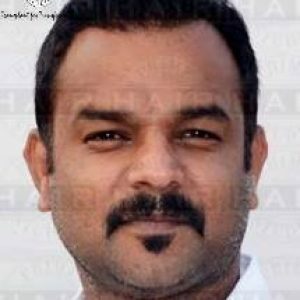 He is a prominent politician from Patna, Bihar. 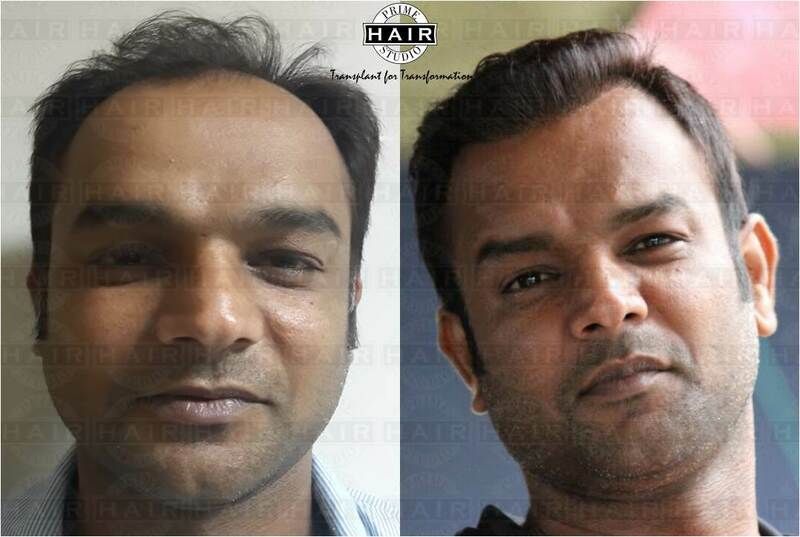 He had come to Mumbai upon referral from one of our previous patients and wanted to undergo hair transplant for himself. He was in good health and had no history of any illness. Family history included the history of Diabetes and blood pressure. There was no known history of the baldness in the family. He wished to have the maximum possible density in one sitting without scarring of the donor area. 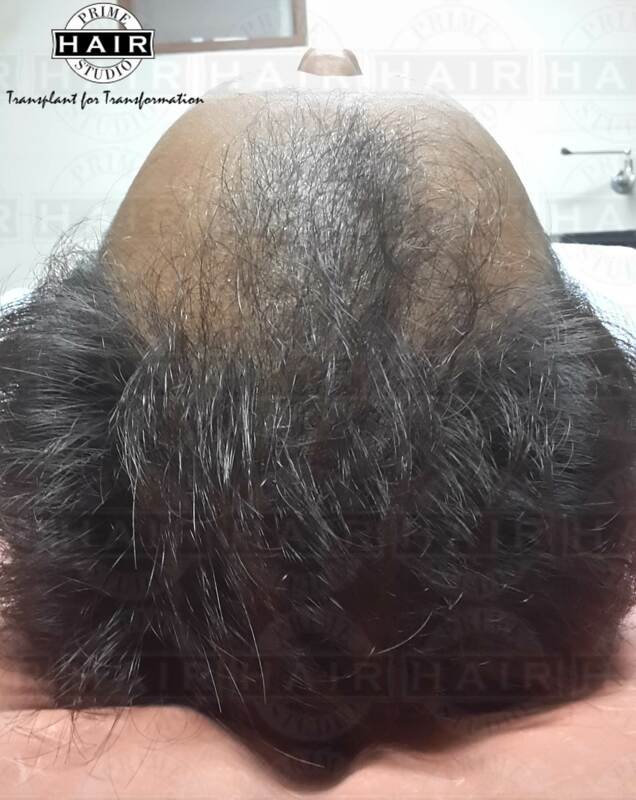 Our Doctors advised him to undergo hair transplant using Bio FUE technique. 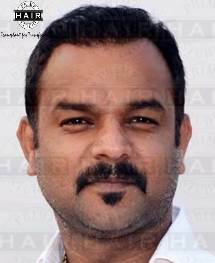 Initial advise was for 2500 grafts but as he wanted to have maximum density, we did 3200 grafts in one sitting of 2 consecutive days. All the procedure was explained to patient including the post procedure instructions and the precautions to be taken. His Blood reports were all within normal limits. 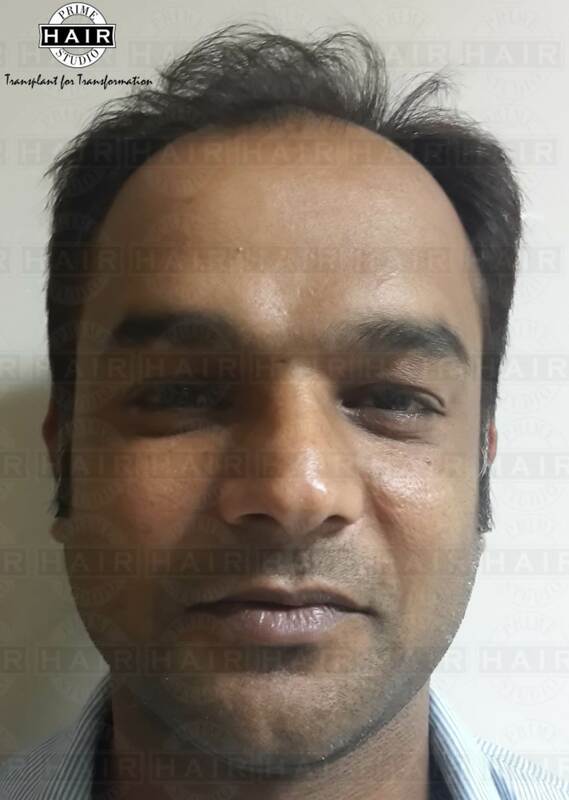 Mr SKS did undergo hair transplant by FUE technique on 16 Aug 2014. We did 3200 grafts. Quality of the grafts was very good and the average number of follicles per graft was 2. So, total number of follicles done was approximately 6400. He visited the clinic twice after the transplant for Follow up. Following first photo shows his results after 7 months from the day of transplant. 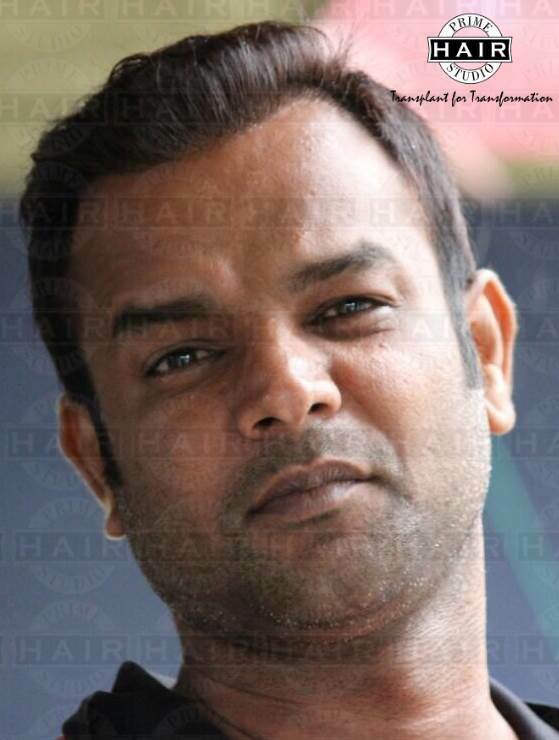 The second photo is after 2 years from the day of hair transplant.